Headaches are one of the most pervasive and stubborn medical conditions going. The number of possible causes is maddeningly large, so pinning down the source of your headache, and finding relief from it, can be very stressful. 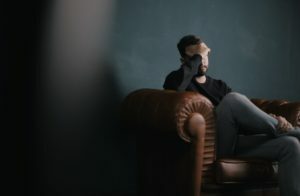 As a general rule, a headache is the result of your brain recognizing that something is wrong in the head, or somewhere else in your body, and the pain you feel is a signal that it needs to be fixed. However, since the number of potential causes is so large, trying to sort out what’s the matter with you can take so much concentration that it just makes your headache worse. That being said, let’s take a look at some of the most common headache causes, and how to prevent them, along with advice on how work from your local Tacoma chiropractor could benefit those who suffer from regular headaches. Primary Headaches: Primary headaches are those that originate in the brain, due to internal causes. These include tension headaches, migraines, and cluster headaches, among other types. These are the most common headaches, which are also often the most painful. Stress and anxiety are usually at the root of these primary headaches, so finding headache relief, and having a headache prevention practice, generally starts with de-stressing your life, and being able to find your calm place. Hangover & Caffeine Withdrawal: These are another type of common headache, but they’re much more self-inflicted than primary headaches. Hangover headaches are caused by the combination of dehydration from too much alcohol and a lack of sleep. Mixing in water while you drink, and not over consuming, are a good way to prevent these. Caffeine withdrawal is less obvious than a hangover, but can be just as painful. In the short term, having some caffeine will reduce your pain, but in the long term, cutting your caffeine consumption will reduce the likelihood of experiencing withdrawal. Cranial Neuralgia: Cranial neuralgia is nerve pain caused by the inflammation in a cranial nerve. These 12 nerves run from your brain to the muscles throughout your body, bringing sensory information, including pain signals, from the body to the head. The inflammation of one of these nerves can lead to overstimulated pain signals, which can quickly spiral into a headache. Try hot or cold relief: Depending on the type of headache you’re suffering from, a heat pack or cold compress might be the answer to your headache relief. For tension headaches, heat relief applied to the back of your head or neck is advised. For a migraine, ice on your forehead is the way to go. For other types, try both and see which one provides lasting headache relief, and add it to your headache prevention practice. Minimize stress: Stress is a contributing factor in nearly all types of headaches. Unfortunately, most of our lives are structured around really stressful days, which can make minimizing stress especially difficult. However, focusing on increasing your weekly exercise, trying to meditate or practice mindfulness, and eating healthier can work well to give you relief from ongoing headache issues. Massage or chiropractic work: Muscular and nerve inflammation send pain signals that can lead to frequent headaches, so massage or chiropractic work can help soothe body pains that are culminating in headaches. An expert Tacoma chiropractor like Petett Chiropractic can help realign your spine, relieving the daily physical stress on your body, leading to long term headache relief. If you’re suffering from headaches and think that chiropractic work might provide relief and help with prevention, contact Petett Chiropractic today!